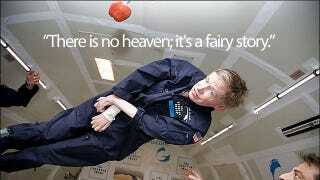 Stephen Hawking says heaven is just a fairy tale for those scared of death. If that means there's no hell, I'd be sad. There's always BBQs and cold beer in hell—and everyone knows all the words to the songs.